There are various bug bounty programs, with Google being one of the forerunners in the field – Twitter was late to the party just joining in September 2014. The latest development is that Google is stopping the annual Pwnium hack fest aimed at the Chromium project to stop bug hoarding, which makes Pwnium essentially a never ending hack-fest that anyone can submit to at any time. Which makes sense for Google really, they get the bugs faster – with the chances that multiple people have spotted the same bugs (including the blackhat market), the sooner they fix stuff the better. Google is vastly expanding its popular annual Pwnium hack fest, by allowing hackers to vie try for limitless amounts of cash every day of the year. The contest was previously held once a year at the CanSecWest conference in Canada, with millions in cash on offer to hackers who can take the shine off its Chromium project. The Choc factory now wants hackers to submit their bad bugs and exploit code as soon as it surfaces, rather than hold it off for the one-day event. 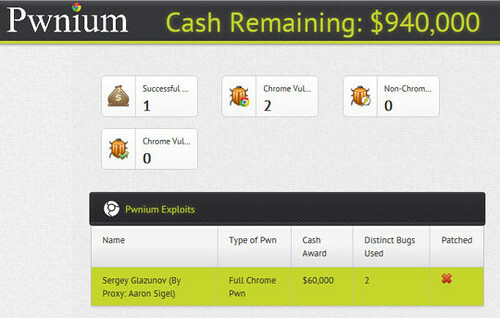 Chrome security hacker philanthropist Tim Willis says the “never-ending Pwnium” will cut down barriers for entry and incentives for bug hoarding. “We’ve received some great entries over the years, but it’s time for something bigger,” Willis says. “Starting today, Pwnium will change its scope significantly, from a single-day competition held once a year at a security conference to a year round, worldwide opportunity for security researchers. It seems like Google is willing to invest quite a lot of money in this, and the security of the browser. Also they’re probably banking on the fact most of the major bugs have already been found and paid out on – so they shouldn’t take too much of a hit. And they can pay out over the year, rather than all on one day. Hey who am I kidding, they have more money than the GDP of many small countires – this is nothing to them. That infinity million was grounded by the top reward for any one bug being US$50,000, the lowest offering US$500. He says hackers with “Pwnium-quality” bug chains would likely hoard the report to claim a cash reward at the risk that code changes may require them to rework their efforts. Hackers too requested that they be able to report whenever they like through the Chrome Vulnerability Reward Program, Willis said. Willis did not specifically rule out the one day CanSecWest contest although it appeared likely. The infinite dollars is not for one bug though, it’s a theoretical amount if you discovered infinite different bugs in Chrome, you could get that much (with a cap at $50,000 maximum bounty for each single bug). With the lowest being $500, that means for a mid-range bug you could be looking at a decent sum of money, worth a crack if it’s up your street skillset wise. 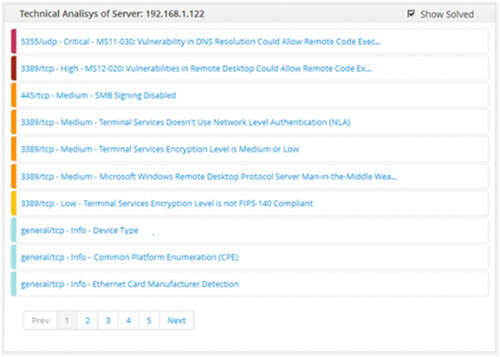 VScan is an open source Vulnerability Management System designed to make it easier for an organization to track vulnerability resolution and ensure anything found in their infrastructure is fixed. VScan was created as after a vulnerability assessment it can sometimes be difficult to track the implementation of a security improvement program, so this tool can help you measure your progress and simplify the process of fixing any problems found. Basically what you want to know is, how many vulnerabilities did we have before? And how many do we have now? So that’s where VScan comes in, basically it’s a web front end for Nessus (or whatever else you want to plug in on the back end) and gives you scanning capabilities to online commercial scanners like Acunetix Online Vulnerability Scanner, with the ability to omit (false positives) or recheck issues after they’ve been fixed. Windows Credentials Editor (WCE) is a security tool to list logon sessions and add, change, list and delete associated credentials (ex. : LM/NT hashes, plaintext passwords and Kerberos tickets). This tool can be used, for example, to perform pass-the-hash on Windows, obtain NT/LM hashes from memory (from interactive logons, services, remote desktop connections, etc. ), obtain Kerberos tickets and reuse them in other Windows or Unix systems and dump cleartext passwords entered by users at logon. WCE is a security tool widely used by security professionals to assess the security of Windows networks via Penetration Testing. It supports Windows XP, 2003, Vista, 7, 2008 and Windows 8. WCE is aimed at security professionals and penetration testers. It is basically a post-exploitation tool to ‘steal’ and reuse NTLM hashes, Kerberos tickets and plaintext passwords which can then be used to compromise other machines. Under certain circumstances, WCE can allow you to compromise the whole Windows domain after compromising only one server or workstation. 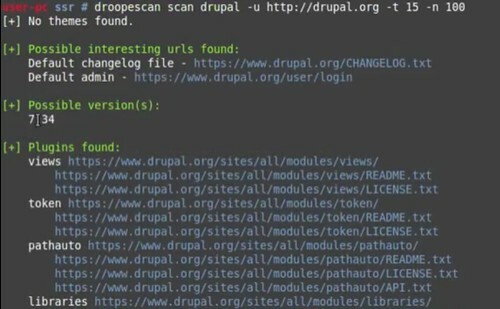 Droopescan is a plugin-based CMS security scanner that that will help you with identifying issues with several CMSs, mainly Drupal & Silverstripe. Droopescan aims to be the most accurate by default, while not overloading the target server due to excessive concurrent requests. Due to this, by default, a large number of requests will be made with four threads; change these settings by using the –number and –threads arguments respectively. The master branch corresponds to the latest release (what is in pypi). Development branch is unstable and all pull requests must be made against it. You can download Droopescan following the instructions above or read more here. Anthem Hacked! Everyone is screaming, I was like WTF is Anthem? Turns out it’s part of the 2nd largest health insurance provider in the US (Wellpoint) after United Healthcare – so it’s a pretty big deal with an estimated 70 Million people on its books. Of course according to them, “Anthem was the target of a very sophisticated external cyber attack” – yah, probably just a phishing e-mail or something right? Hackers have invaded the servers of Anthem, a health insurer used by tens of millions of Americans, and stolen social security numbers, employment records, personal contact details and more. A veritable treasure trove for identity thieves. Anthem, the US’s second biggest health insurer with about 70 million people on its books across the country, admitted late on Wednesday, Pacific time, that it has been comprehensively ransacked by criminals. Tens of millions of records are likely to have been obtained illegally as a result of the hack, Anthem warned. If your plan is branded Anthem Blue Cross; Anthem Blue Cross and Blue Shield; Blue Cross and Blue Shield of Georgia; Empire Blue Cross and Blue Shield; Amerigroup; Caremore; Unicare; Healthlink; or DeCare, you are at risk – your data may have been taken by thieves. Former Anthem customers are just as affected, we’re told. Jackpot. The health giant, based in Indianapolis, has hired infosec biz Mandiant to work out which customers have had their files accessed. According to this official FAQ, “no diagnosis or treatment data was exposed” nor any credit card information. It is not clear when the company’s databases were infiltrated nor precisely when the compromise was detected – just that it was discovered some time last week. Staff with high-level access to the IT systems have had their passwords reset, and those using single-factor authentication locked out, we’re told. People whose records were slurped by the hackers will be warned by mail in the following days. Anthem is offering free credit and identity-theft monitoring cover to those hit by the network security breach. If the statement by Anthem is true though, it’s not THAT bad for them as they haven’t lost any payment details (credit card numbers etc.) or any medical records. But identity theft wise it’s quite bad as they’ve lost names, social security numbers, addresses, contact details and so on. As usual there’s no details on what actually went down, was this really a hack? Database compromise? Deep system access? Or access via vendor, or disgruntled employee? Not sure if we’ll ever get to learn more – but it’s happened. 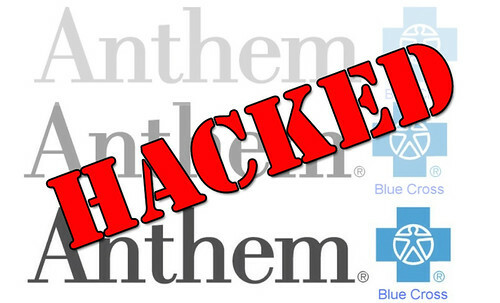 Anthem Blue Cross was the target of a very sophisticated external cyber attack. These attackers gained unauthorized access to Anthem’s IT system and have obtained personal information from our current and former members such as their names, birthdays, medical IDs/social security numbers, street addresses, email addresses and employment information, including income data. Based on what we know now, there is no evidence that credit card or medical information (such as claims, test results or diagnostic codes) were targeted or compromised. “Anthem’s own associates’ personal information – including my own – was accessed during this security breach. We join you in your concern and frustration, and I assure you that we are working around the clock to do everything we can to further secure your data,” the chief exec added. Indeed we did. Popping a huge healthcare insurer was only a matter of time: the data will be worth a pretty penny, and all of it sitting there, conveniently in one place, just waiting to be seized. They have set up a dedicated website http://www.anthemfacts.com/ (that doesn’t even have a TITLE tag..) for some info or call 1-877-263-7995 – the FBI is already investigating. Maybe it was the Koreans? We shall keep our ears open for developments on this as it’s a BIG leak – it’d be great to get some technical details of what went down.